UPDATE: The iPhone 8 will be officially available in Malaysia on 20 October. The iPhone 8 and iPhone 8 Plus are coming to Malaysia very soon. If you wish to get your hands on official Malaysian units, 11street has started offering pre-orders with additional free gifts up for grabs. Unlike other iPhone 8 listings which are imported units from other countries, 11street says that these are official units with 1-year Apple Malaysia Warranty. On top of that, they are also bundling free gifts which include Remax Lesu Lightning USB cable, KJD tempered glass, Cager Power Bank S15 6000mAh and a KJD back case that are worth RM200 in total. According to 11street, delivery will be available from 30 October 2017. 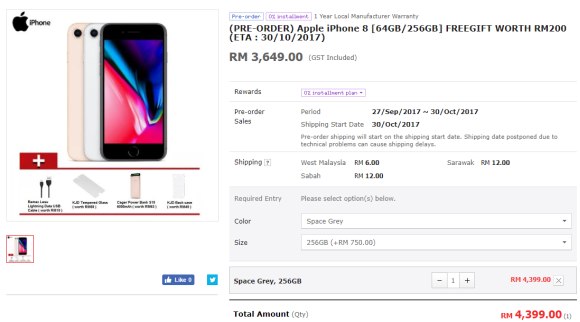 Do note that Apple has yet to announce its iPhone 8 Malaysian availability and pricing so we can’t confirm if this is the final price. Normally, the pricing for their latest iPhone models ends with RMX,X99 unless there’s a price revision halfway. 11street’s pricing also appears to be higher than our estimates and it’s also more expensive than Singapore with direct currency conversion. 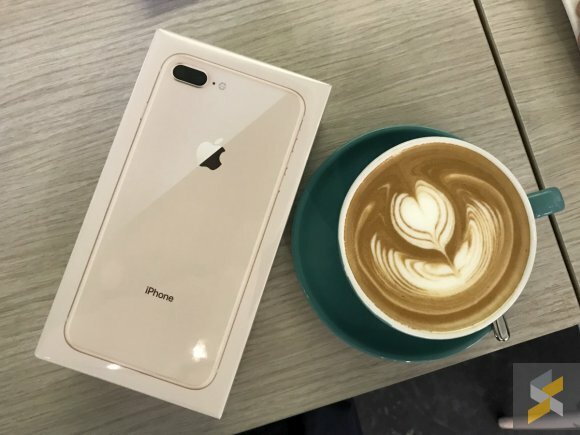 The 30 October delivery date falls on a Monday and usually, new iPhones are released on a Friday in Malaysia. For more info, head over to 11street’s pre-order page.